Jyothika has been on a roll of late since her comeback to acting in 2015 with 36 Vayadhinile. 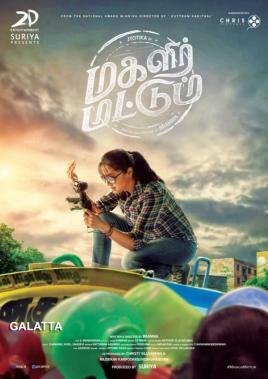 Shewas then seen in yet another female-centric film, Magalir Mattum, released last year to positive responses among fans as well as critics. After that, Jyothika landed the biggie, Naachiyaar, under National Award-winning filmmaker Bala’s direction. Naachiyaar, which released few days back took a solid opening at the box office and has been receiving an unanimous double thumbs up from all corners. Appearing as a tough cop, Jyothika nailed her performance to a T and has once again proven why she is a talent who shouldn’t be written off so easily. Meanwhile, we had reported over the past few days that Jo was being pursued by filmmaker Radha Mohan to star in the remake of last year’s smash Bollywood hit, Tumhari Sulu. Starring Vidya Balan as a homemaker turned radio jockey, Tumhari Sulu chronicles her character's life after becoming an overnight sensation as a popular RJ. Meanwhile, it has just been confirmed that Tumhari Sulu is indeed getting a Tamil remake with Jyothika set to reprise Vidya Balan’s role. Confirmed by the upcoming film's producer Dhananjayan Govind on his Twitter page, the Tumhari Sulu Tamil remake will roll into production from May and will include names like National Award-winning editor Praveen KL and ace cinematographer Mahesh Muthuswami. Actor Suriya and Jyothika's husband too took to his Twitter page to confirm the news and congratulate the entire team for the upcoming film. Although the title of the Tamil remake hasn't been announced, there are speculations it might be called Ungal Jo. We will now have to wait and see what the makers have planned next. 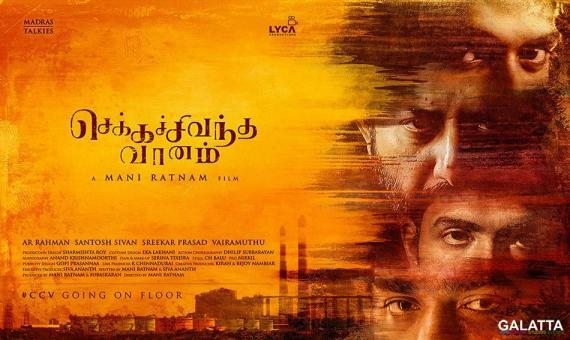 It looks like Jyothika’s comeback to Tamil cinema is not going to be a short-lived one as the actress is grabbing roles that have immense scope for performance with her ongoing film being Mani Ratnam's multi-starrer, Chekka Chivantha Vaanam.